Rainy days are no longer a style downer thanks to the beautiful boots the Shop With Us team has spotted! While traditional rain boots often come in a variety of bold prints and bright colors, sometimes their rubber, clunky look can still interfere with the cool outfits we planned before the showers started. Now, we can slip into a pair of waterproof booties that will keep our feet dry when it rains without taking away from the street style ensembles we love to wear. Rain, rain bring it on! The Blondo Valli Waterproof Booties look like traditional ankle boots thanks to a simple silhouette, a short chunky heel and an interior side-zip closure for easy slipping on and off. To keep the rain away, the soles have textured treads for traction on wet or dry surfaces. The booties also have an AquaProtect coating that keep them from being worn down by water, salt and calcium. This means that when it pours or snows, we still get to step out looking just as chic as we want to without worrying about getting our feet wet or slipping in a puddle. See it: Grab the Blondo Valli Waterproof Bootie for $150 while it’s available in so many different colors and sizes. Also available at Zappos for $150 in different colors and textures. 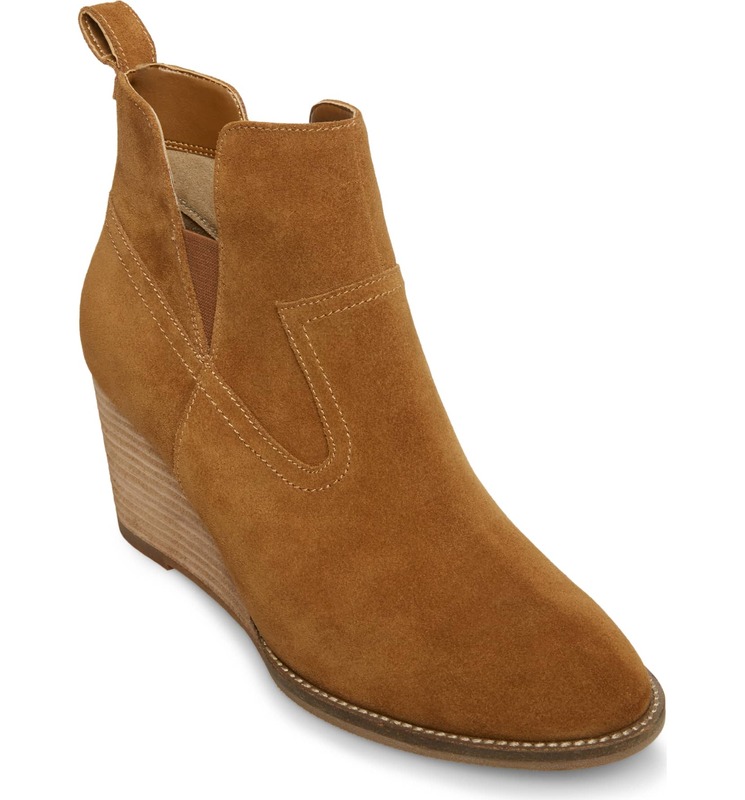 The Valli booties also have hidden side elastic insets meant to give our feet a comfortable, custom fit. Yay for more cute, practical shoes in our fall wardrobe. Shoe sizes range from 4 to 12 and are available based on color. The Valli booties come in five different shades and two texture options. 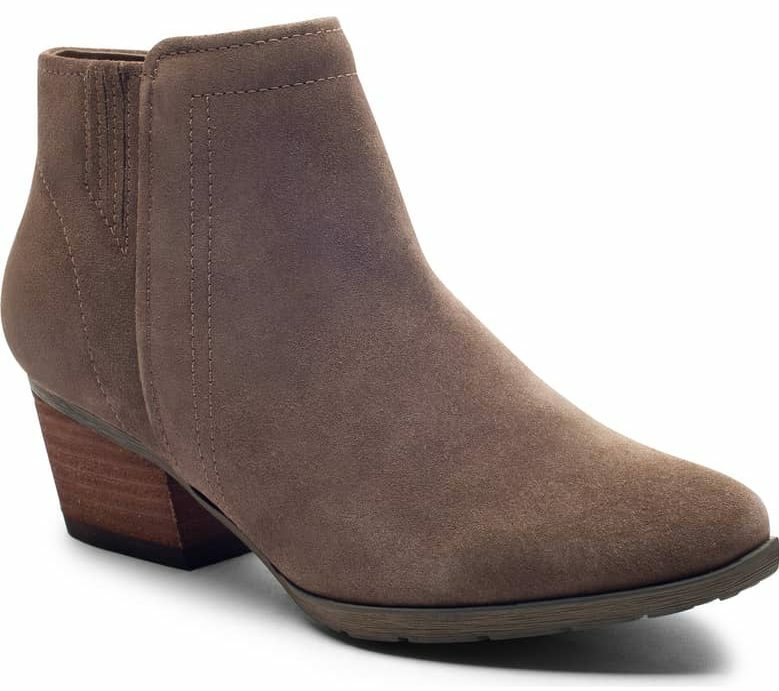 Check out how cool the waterproof booties look in this dark taupe suede style. We can so see this version being worn with a ruffled wrap mididress in a beautiful print topped by a cropped leather jacket and finished with a bucket bag for an edgy boho chic ensemble. However, our favorite color and texture option is this Cognac Nubuck leather version! The shade is so rich and appropriate for fall. 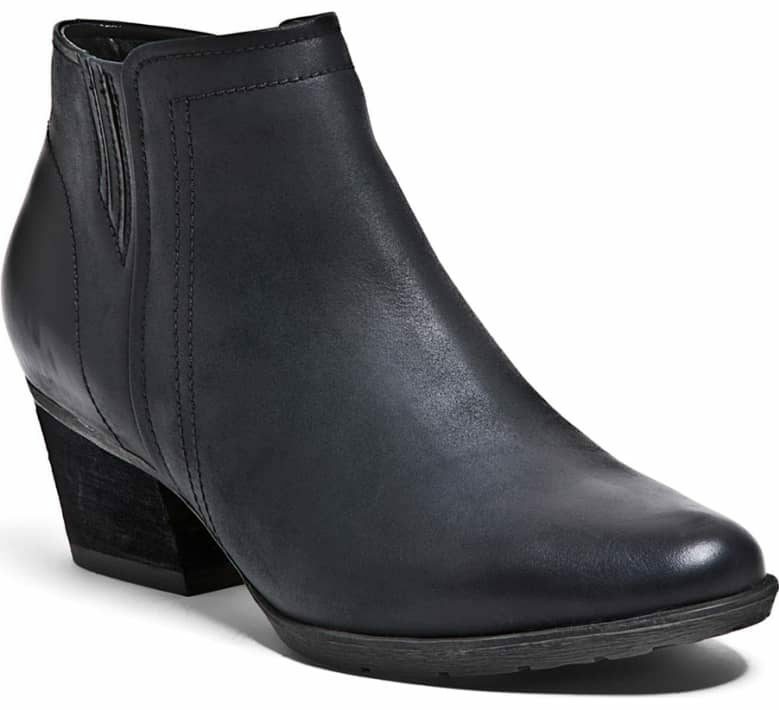 We will be pairing this ankle boot with a long-sleeve top, dark blue skinny jeans, a faux fur scarf and a cross-body bag. Shoppers who purchased the Valli ankle boots seem most impressed by how comfortable they are and also vouched for their quality waterproof design. They also shared how easily they were able to mix and match the boots with other clothes in their wardrobes. Several noted that they were able to wear these boots for eight or more hours without any pain or discomfort. Reviewers also shared that the booties fit true to size. Multiple shoppers revealed that they own the Valli booties in more than one color. Check out this dark grey suede option! It is a great substitute for anyone who owns enough black or brown boots in their closets and wants to step out wearing a different neutral shade. See it: Grab the Blondo Valli Waterproof Bootie for $150 while it’s available in so many different colors and sizes. 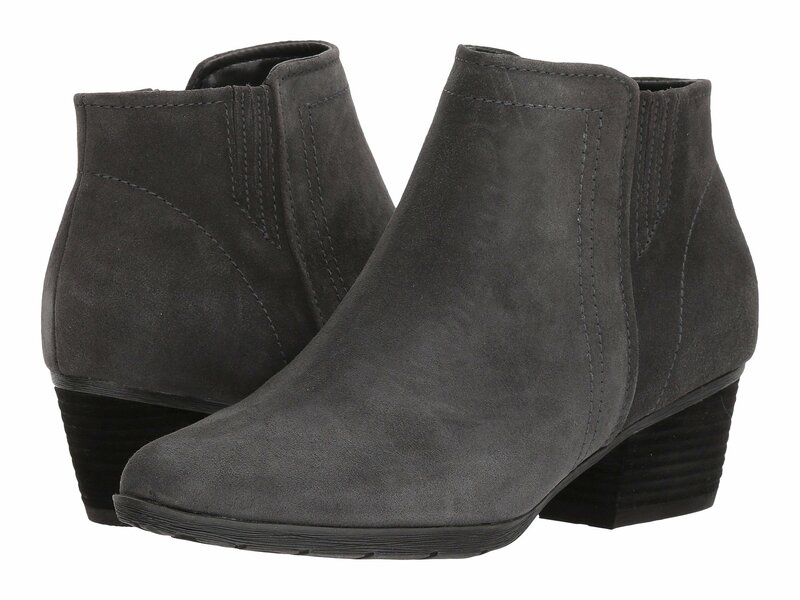 These dark grey booties will look beautiful paired with a grey turtleneck style mididress topped by a longline cardigan for a little monochrome action! 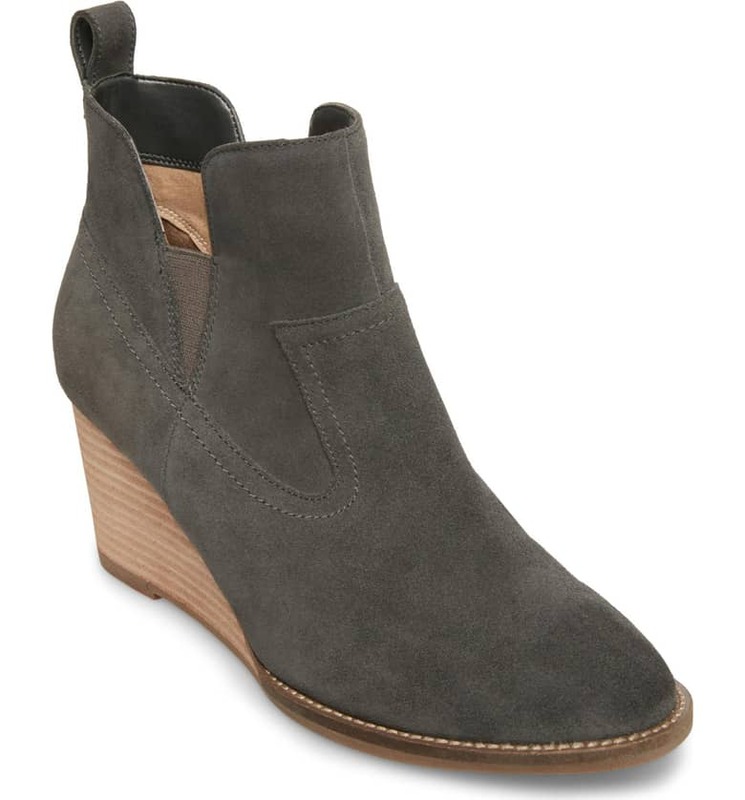 For shoppers who love the idea of waterproof booties, but want a design with a little extra lift and edginess, we also love the Blondo Irving Waterproof Wedge Bootie. These cool shoes have a simple, yet stylish silhouette thanks to a wedge heel and a split shaft design. 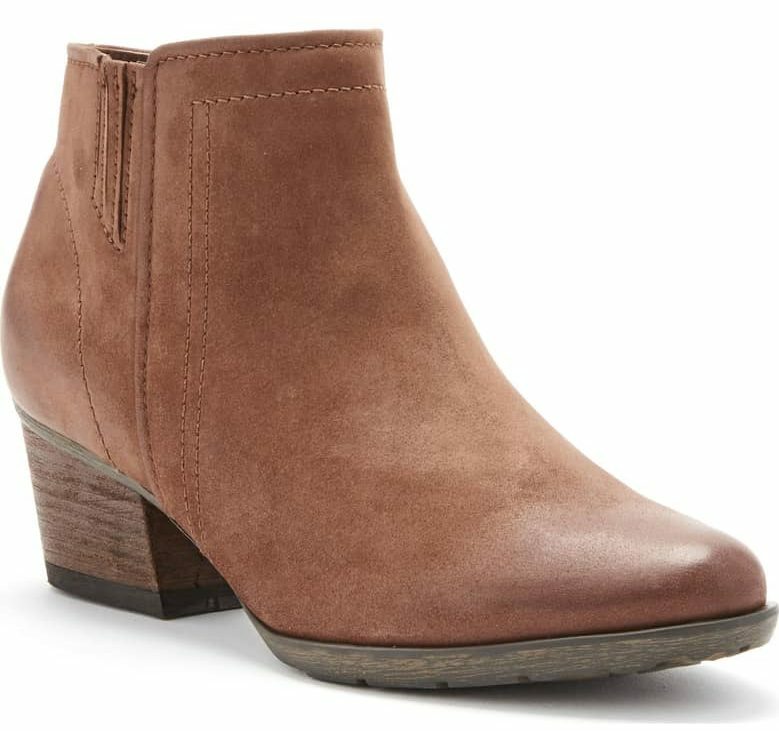 See it: Snag the Blondo Irving Waterproof Wedge Bootie for $100 while all sizes and color options are still in stock. They also have a well-cushioned footbed, which means they are designed for a comfortable walking experience. Get these cool shoes in three color options, including black, grey and dark camel suede. Sizes range from 5.5 to 12. Check out how lovely the dark grey suede version looks. Taking on a rainy day in style has never been so easy to pull off and with the few snow days we’ll inevitably have this winter, these wedge booties will come in handy. We’ll be wearing these shoes with so many clothes in our closet, including all of our favorite dresses, coats, skirts, skinny pants and even jumpsuits. The possibilities are endless, and we’re about to have so much styling fun. See it: Grab the Blondo Valli Waterproof Bootie for $150 while it’s available in so many different colors and sizes. Also available at Zappos for $150 in different colors and textures. Grab the alternate Blondo Irving Waterproof Wedge Bootie for $100 while all sizes and color options are still in stock. The Shop With Us team may receive products free of charge from manufacturers to test. In addition, Us Weekly receives compensation from the manufacturer of the products we write about when you click on a link and then purchase the product featured in an article. This does not drive our decision as to whether or not a product or service is featured or recommended. Shop With Us operates independently from advertising sales team. We welcome your feedback atShopWithUs@usmagazine.com. Happy shopping!